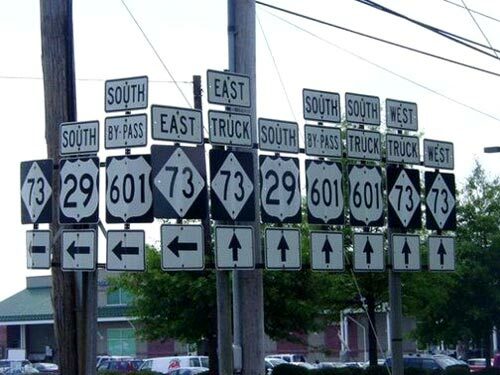 The joke in my family is that if I say take a right, the correct action is go left. Most trips that end in being lost start with my directions. It has always been that way. My lack of directional skills combined with planning a solo vacation driving to unfamiliar places has been a recent cause of angst. Yes, I could get a GPS. Yes, I could use Mapquest. Deep down I knew no matter what I used, my driving would end with me pulling over to the side of the highway, curling into a fetal position and crying until the Highway Patrol rescued me. Call it fate. Too ashamed to ask my daughter to call in sick for a week and act as my chauffeur, I downloaded Verizon navigator to my phone, printed out my maps and highlighted them, and headed out, determined to break the curse and not get lost. But, before I even pulled out of the hotel parking lot, I realized my problem. I had too much information and trusted none of it. It was time for a change. I threw my maps in the backseat and put my faith in GPS. At first, listening to the Verizon navigator confused me. Directions like “turn right in 3.4 miles” and “go straight on highway 123” resulted in me second guessing the voice, turning too early or straining to see road signs. But then, after two very small mistakes trying to out think the system, I decided to listen to the voice and follow its commands. Amazingly, I made it to all my destinations without getting lost. Once I gave myself over to it, driving became enjoyable. No edge of my seat second guessing. No worry that I’d end up the wrong way on a one way street. As long as I had an address, I could get there. As I cruised along, content in the knowledge I’d reach my destination, I thought about how many times I’ve overloaded my personal GPS with facts and figures rather than listening to the inner voice trying to guide me on the right path. It’s easy to extinguish our faith in ourselves. It’s easy to second guess. But I trusted a satellite navigation system that I couldn’t see, touch, or feel and ended up where I needed to go. Maybe it’s time to trust my personal navigation system to do the same. This entry was posted in relationships and tagged being right, Global Positioning System, GPS, Highway Patrol, relationships, Satellite navigation.